Executive management at innovative companies embraces creativity in all aspects of the business – product development, marketing, sales, distribution, culture, etc. Once you move past the PR spin that touts fuzzy brand impact (i.e. 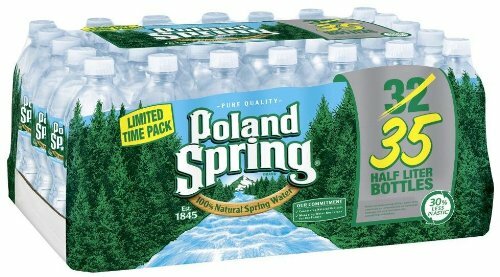 “Every conversation about beverages on a social platform represents an opportunity for us to engage with our consumers…”), it becomes apparent this is a mutually beneficial and unique relationship that will deliver measurable value for both companies. Salesforce will test and evaluate new functionality of its software and related applications, prior to general release. Nestle creates an environment to demonstrate to retailers, grocery chains and restaurant groups how they drive interest and demand in their products in a unique way. It validates the “this is why we are special” contention. More than water! Nestle’s innovative partnership with Salesforce demonstrates how the company drives customer demand. Signage at the Salesforce World Tour in Washington, DC. Hmmm, “Customer Success Platform.” I am not so sure. One ring…two rings…and then the third. That’s when voice mail typically clicks on. I always call the corporate line because it is rarely answered. Heck, I suspect many a prospect consciously neglects to check their messages on a regular basis. This is certainly true when it is an automated greeting that awaits me. Yet, this is an essential component of the rhythm of business-to-business (B2B) sales. Establish familiarity. Initiate connection. Demonstrate knowledge and relevance. These will hopefully serve as an entry point to an initial conversation. Back to the call. My message methodology is comfortable and constant. I mention my name and company brand twice. The person’s name is woven in three times for personalization. And I always reference the soon-to-arrive Email which will include the words “Strategic Guy” in the subject line. This is no smile and dial operation though. Prior to picking up the phone I’ve invested time on the prospect’s Web site, reviewed their LinkedIn profile and reviewed an analyst report or two. Like the call itself, this due diligence is part of the cost of entry. If I have put in the time, my view is I have earned the right for a first chat. I’ve been at this now for two decades; selling marketing, public relations and (now) Web2Sales services to corporate executives who work for B2B and government-focused technology companies. Although I am no wizard, I have secured hundreds of accounts that have collectively generated millions of dollars in fees. Hello from the Washington DC Convention Center where I am on-site to attend the Salesforce World Tour. It’s a day long bonanza of speakers, panels, presentations and demonstrations all designed to convince the 3,000+ attendees to buy (or buy more) Salesforce stuff. There is talk of the marketing cloud and how awesome it is. There is a shill for new features in the sales cloud and how cool that is. And there are partners – lots and lots of partners – hyping how they can make the Salesforce experience more profitable, meaningful and measurable. The author and friend at Salesforce World Tour. I am a Salesforce guy, and admire the company for its innovation, integrity and community commitment. A myriad of Strategic Communications Group’s (Strategic) clients rely on Salesforce technology to address their customer relationship management (CRM) and marketing automation needs. That is why earlier this year I hosted a Webinar that featured a conversation with a Salesforce customer success manager to help marketers better understand what is possible. The initial contention I buy. The foundation of effective sales activities is to call on the right person at the right time with the right message. That is the core value proposition of both CRM and marketing automation. Does this efficiency produce sales though? There are three essential attributes that must be in place for an organization to successfully hawk its wares. And guess what? Salesforce has no influence or affect on these must-haves. First, a company needs a good product or service. I realize that may strike some as rudimentary, yet there are many nifty features out there that masquerade as solutions. Additionally, sales teams must target customer segments where there is need and budget. For me, I’d embrace the feel good derived from helping charitable organizations and not-for-profits via our unique Web2Sales methodology. Strategic serves corporate accounts though because they can put forth an appropriate level of spend to fund our programs. It is that elementary. And finally, each step in the B2B sales process must showcase the credibility of the company and its sales rep. No one ever got fired for hiring IBM. It’s a cliché for a reason. Value proposition, messaging, use cases and credibility are all critical elements of the pitch. However, people ultimately buy from people they know and trust. It was true yesterday. It’s true today. And you can bet on it for tomorrow. So, by all means lock-in a sustained commitment to CRM and marketing automation. Even better if it is with the good folks at Salesforce. Just never lose sight of fact that B2B sales is a relationship-driven endeavor. That’s the art of it. That is because – like social media – content creation absolutely, positively does not replace business-to-business enterprise sales. And, if marketers use revenue creation as a measurement benchmark, they are destined for disappointment. Rather, Web, content marketing, social media engagement and digital communications empower experienced, proven and relationship-oriented sales reps. It makes them more effective, efficient and scalable, helping sales teams more quickly identify, nurture and close deals. Plus, a carefully crafted and integrated program – commonly referred to as Web2Sales – allows a company to derive more value from its investment in marketing automation and CRM platforms. It powers lead generation and drip campaigns, while the resulting analytics and intelligence informs lead scoring, tracking and forecasting. That is a measurable ROI! For marketers, the challenge becomes how to structure these often disparate activities in a programmatic way, syncing everything with a well defined sales initiative. Chantilly, VA-based Iron Bow Technologies provides us with an example of Web2Sales in action. The technology services company that caters to business and government customers recently launched a new campaign called Telehealth Education Delivered or TED for short. Disclosure: my consultancy works on the TED program. The effort aligns an innovative approach to product demonstrations conducted on-site at customer locations with a well defined Web, content, social and digital presence. Sales resources have also been marshalled for cultivation and follow-up activities. The take-away here is that marketers must pay heed to the siren song of content marketing, social media and digital. These high-value activities are merely part of a more comprehensive Web2Sales strategy, which, when executed effectively, can provide a healthy jolt to a company’s sales pipeline. DIGITAL EAST from Strategic Communications Group on Vimeo. At first glance these content marketing programs appear somewhat similar. Yet, the differences are dramatic. 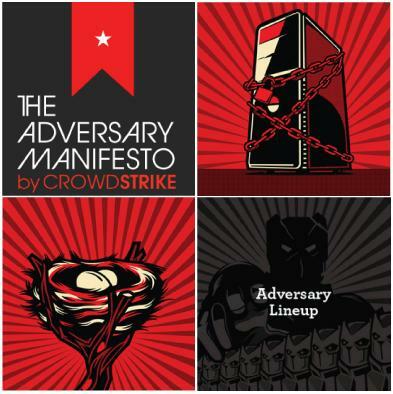 I encourage you to take a look at new client campaigns created by Strategic Communications Group (Strategic): CrowdStrike’s Adversary Manifesto and Comstor’s Edge360. Both employ the best practices Strategic has developed in a segment of marketing and demand generation referred to as Web2Sales. The campaigns utilize thought leadership content to attract a community of high value and engaged readers. Content is promoted across multiple channels, including search, social and digital. And the efforts are integrated with marketing automation and CRM platforms. So…what makes each program unique? It is all about the client’s desired outcomes related to awareness, positioning and credibility, and (equally important) sales enablement – which includes lead generation, prospect nurturing, deal capture and market intelligence. Align sales and marketing campaigns with an agreed upon set of goals. Yes, I realize this reads like business 101. Yet, many companies are plagued by disjointed programs. For them, sales and marketing has regressed to merely a bag of tactics. Web2Sales can right that dysfunction. It demands interaction between sales and marketing teams, and requires a definition of strategic goals for a program. The promises of customer relationship management (CRM) software are intoxicating. Sales reps access timely information about accounts and a historical record of interaction with key points of contact. Identified opportunities are tracked with corporate resources appropriately marshalled to increase win rates. Revenue projections are more accurately distilled to facilitate reporting and business planning. And, when integrated with a marketing automation platform such as Oracle Eloqua, Marketo, Pardot or eTrigue, an organization follows a prospect during the buying cycle at nearly every point of touch. In theory, CRM-powered sales and marketing teams are efficient, effective and scalable. That’s why more than half of all North American companies surveyed by Computer Economics have adopted CRM. As we all know though, there is often quite a gulf between theory and reality, especially in today’s complex and multi-dimensional organization. A pressing challenge faced by marketers who seek to drive value from their company’s investment in CRM is how to motivate sales reps to take action on identified leads, without creating a hostile and adversarial environment. Taking this issue head on is the mission of the new Strategic Lead Management CRM Solution, my firm developed in partnership with Rainmaker Associates. Utilizing the functionality of Salesforce.com (the market leader in CRM), we help marketers more effectively capture, route, track and report on sales leads. This week I hosted John Sisson, Rainmaker’s managing director, for an exclusive online chat about how CRM can be leveraged to inspire sales team action and accountability. A replay of our best practices-focused conversation is below. Web2Sales How Marketers Can Inspire Sales Team Action and Accountability from Kristin Janeiro on Vimeo.